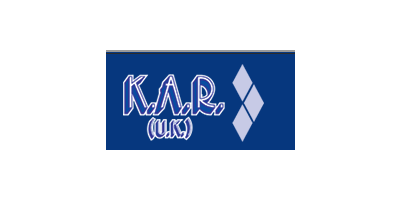 KAR are the leading wholesaler of irrigation equipment in the United Kingdom. As well as our own range of Hose Trolleys and Wall Mounted Hose Reels, we are leading stockists and distributors of Tricoflex Nobel Hoses, Bermad Valves, Tupy Galvanised Fittings, VDL, PVC Fittings, the John Deere self-cleaning hydraulic filters, Naan Dan Sprinklers, & Unidelta Fittings. Since its foundation in1978, KAR UK has been a leading supplier of irrigation equipment and products for leading international manufacturers. The company provides sprinklers, pipe, pipe fittings, control systems, valves, hoses, hose fittings, drip irrigation, field sprinklers, pop-up sprinklers, injectors and storage tanks for the horticultural, agricultural, landscape and sportsturf markets in the UK and Ireland. The KAR UK catalogue has become the definitive reference document for the UK irrigation industry. The current seventy six page issue continues to be used by suppliers, installers and operators to assist in equipment selection.